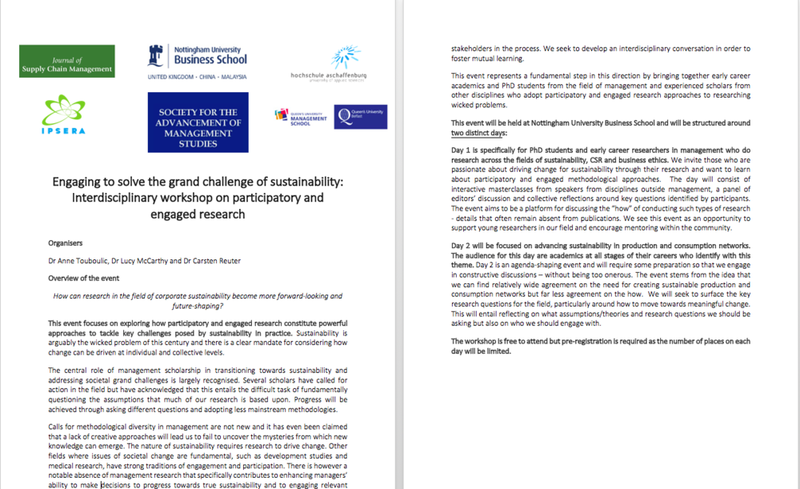 "Engaging to solve the grand challenge of sustainability: Interdisciplinary workshop on participatory and engaged research"
This event focuses on exploring how participatory and engaged research constitute powerful approaches to tackle key challenges posed by sustainability in practice. Sustainability is arguably the wicked problem of this century and there is a clear mandate for considering how change can be driven at individual and collective levels. Hope to see you all on the 15th of Feburary!